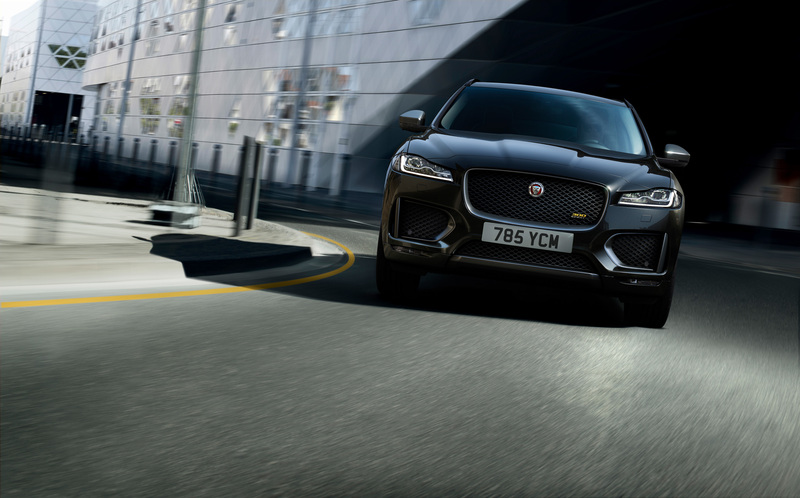 19 March 2019, Whitley, UK – They further enhance the World Car of the Year and World Car Design of the Year‡ award-winning F-PACE range, which offers the unrivalled dynamics and everyday versatility customers expect from a Jaguar performance SUV. Powered to perform, the 300 SPORT comes with a choice of two 221kW AWD engine options; the 2.0-litre Ingenium petrol and 3.0-litre V6 diesel. The former has 400Nm of torque and can accelerate from 0-100km/h in 6.1 seconds on its way to a top speed of 233km/h, while the latter offers 700Nm torque and can accelerate from 0-100km/h in 6.4 seconds and is capable of 241km/h**. Comfort and convenience features include Touch Pro Navigation with Connect Pro that enables the driver to control essential features remotely. Jaguar’s optional 12.3-inch Interactive Driver Display provides a customisable and intuitive driver interface. A Meridian sound system and 14-way electric front seats also form part of the standard specification. A range of 2.0-litre AWD powertrains are available with the Chequered Flag, beginning with the more performance-focused 184kW 2.0-litre AWD Ingenium petrol, which powers the F-PACE from 0-100km/h in 7.0 seconds and to a top speed of 217km/h . Diesel powertrains are available in 177KW and 132kW form, with the latter providing up to 5.7 l/100km*. A range of powertrain options can be specified, from the efficient 132kW RWD 2.0-litre Ingenium diesel that delivers up to 5.3 l/100km* and emits as little as 150g/km of CO2*, all the way to the astonishingly quick, performance-orientated F-PACE SVR with a 5.0-litre 405kW Supercharged V8. The Jaguar F-PACE is priced from $77,380 (+ORCs) in Australia. The Jaguar F-PACE achieved double success at the 2017 World Car Awards, scooping the prestigious World Car of Year and World Car Design of the Year titles.